Surprised at the negative reviews of this drink. Not bad at all. Very similar to the Cafe Au Lait but not as strong and maybe not as thick. Expected something different from a flat white, still enjoyable but probably too similar to Cafe Au Lait. This tastes nothing like a flat white. It's so sweet and creamy. Can hardly taste the coffee. I like a strong tasting coffee. Will not be buying this again. So much added sugar in it. Yuk. Nothing like a flat white. It is too sweet and too weak. 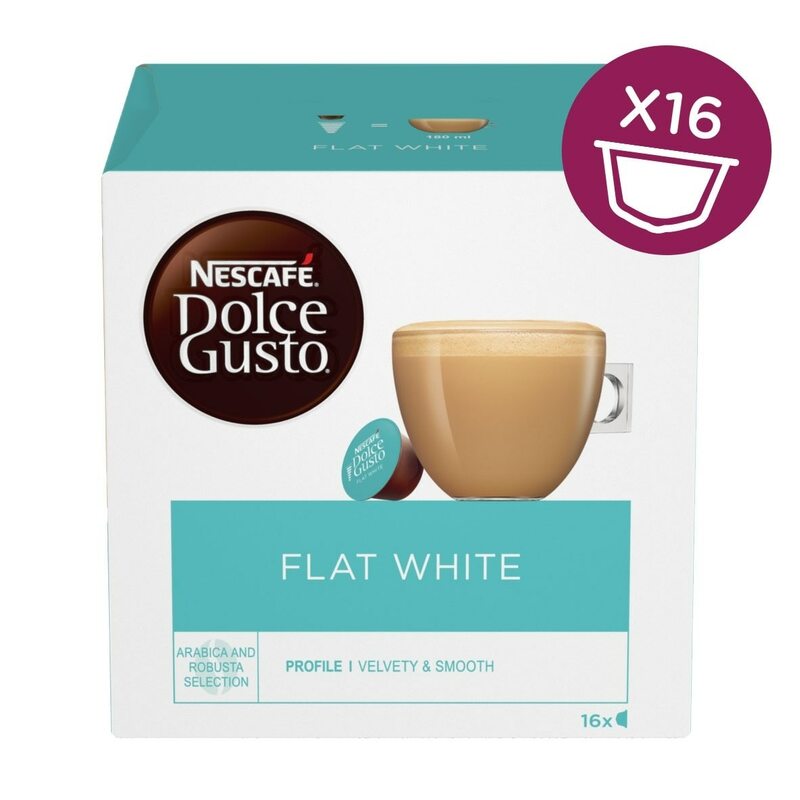 When I saw that I would be able to get Dolce Gusto in a flat white I was really looking forward to trying it. I was so disappointed with this coffee. I won't be buying the flat white again. I've always been a mega fan of the cafe au lait but will usually add a sugar (not always). I tried this one on a whim and it's my new fave! Hope they make the magnum box available for this one! PERFECT - The Best pod ever!!! I can't understand people moaning about this coffee. I do not like strong coffee, for me this is the best one ever. I usually get cafe au lait but this is miles better. Not too strong as coffee shop flat white (which I find bitter.) This is just perfect. Not too strong and not too weak. I love this. I hope they won't discontinue these pods as they have with others. A lovely cup of coffee. I just had to try for myself, but I really wish I hadn't. Too sweet and weak for me. 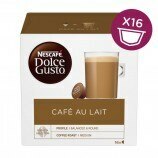 Going to stick with the Café au lait Intenso instead. I don’t take sugar in my coffee so found this to be too sweet. I shall be returning to my cafe au laits in future. Sweet and very milky and definitely NOT a flat white. Very disappointed.